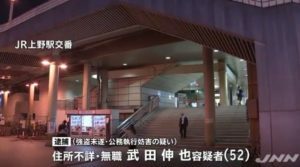 TOKYO (TR) – The Tokyo District Court on Thursday released Hitomi Yoshizawa, a former member of all-girl idol group Morning Musume, on bail of 3 million yen after she was prosecuted over a hit-and-run incident while driving under the influence of alcohol earlier this month, reports Nippon News Network (Sept. 27). 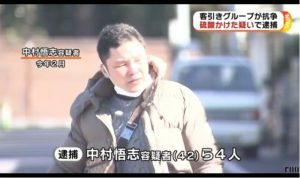 At around 7:00 a.m. on September 6, a vehicle driven by Yoshizawa, 33, ignored a red light and struck a woman pedaling a bicycle in Nakano Ward, causing her to fall. The woman then collided with a male pedestrian. The woman and man suffered light injuries, police said. Police later arrested Yoshizawa on suspicion of drunk driving. During questioning, she admitted to drinking chuhai, which is a cocktail composed of the distilled spirit shochu. After the incident, Yoshizawa fled. About 15 minutes later, she telephoned police to report hitting the bicyclist and returned to the scene, where she was arrested on suspicion of drunk and dangerous driving and hit-and-run resulting in injury. 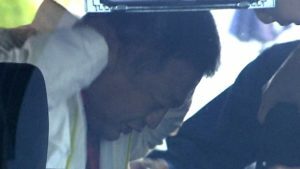 A breath analysis conducted on Yoshizawa revealed 0.58 milligrams of alcohol per liter of exhaled air. The legal limit is 0.15 milligrams, meaning the former idol exceeded the figure by nearly four times, police said. Upon her release from the Harajuku Police Station on Thursday, Yoshizawa offered two deep bows before a gathered press corps. “It is inexcusable,” she said in apologizing. According to her agency, the idol will be hospitalized to receive medical treatment for her weakened physical and mental state.